Posted: Friday 10th April 2015 in Paid Media, Retail Strategy, Thought Leadership. Let’s imagine you knew how much money you could make tomorrow. Imagine you could identify how much you need to spend on advertising to maximise your return and also where to spend the marketing budget to ensure the biggest gains. As the search channel continues to develop, more and more digital ‘fingerprints’ are available to digital marketers. These fingerprints reveal customer behaviour. They offer us the opportunity to identify patterns and relationships in data which if used in the right way allow us to make reliable predictions of what’s likely to happen tomorrow and beyond. This is powerful information. Knowing your risk is minimised allows for greater confidence in decision-making. Typically, digital marketers can effectively measure today based on what happened yesterday. Through robust and rigorous analysis they can understand what interventions drove changes in performance. Accurately predicting what will happen in the future largely remains the holy grail of marketing. Thanks to the use of advanced statistical techniques – predictive analytics – prediction is now possible. Statistical modelling and the understanding of customer buying triggers can lead to highly accurate predictions of where and when to spend marketing budget for the greatest return. Over the last five years, working closely with Professor David Wooff at Durham University, Summit has developed a business intelligence platform for retailers called Forecaster. Forecaster offers retailers a truly a groundbreaking advantage in decision-making. Using advanced statistical models and real-time inputs such as the weather, TV, stock and seasonality, Forecaster’s learning capability provides highly accurate forecasts and optimisation for digital marketing channels such as PPC, PLA and display. 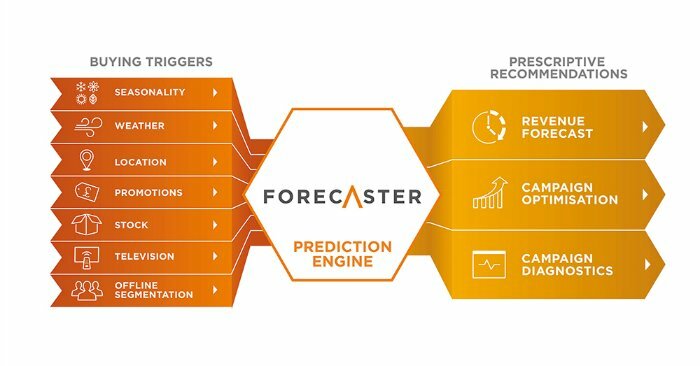 Forecaster provides client’s eCommerce teams the advantage of knowing what is likely to happen with a level of confidence. Forecaster is a vast improvement on typical forecasting techniques which are at best, basic ‘bottom up’ models with an anecdotal view on expected growth – effectively ‘betting’ with poor odds. They do not utilise or have access to statistical modelling nor do they identify the options available for spending a budget (where to spend extra budget each day or identify additional spend whilst still making profit). ‘Micro’ underspending each day multiplies over time and is as damaging to profit as overspending. The difference is that most businesses don’t really know how much they should be making and therefore don’t measure the loss. Forecaster processes various data such as, search engine data, efficiency targets, transactional and also external data that influences buying behaviour such as, the weather, seasonality and promotional calendars. Along with knowledge of customer trends and budget information, Forecaster combines all the inputs via a comprehensive data management system. These recommendations provide forecasts of expected performance, bid allocations for each keyword and diagnostic reports. These form the basis of decision-making on a daily basis. 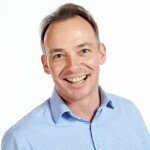 In addition, Forecaster can also provide the answers to ‘what if’ questions – what if I had an extra £10,000, can I spend the extra budget efficiently (within Cost of Sales targets) and where should the money be spent to provide the greatest returns? Forecaster’s statistical team have capitalised on the opportunity that understanding seasonality presents, by creating an entire library of seasonal models across retail products and categories. These models predict how products are likely to behave at a particular time of year (e.g. Christmas) or during an event (e.g. Bank holiday sales). Every event in a retailer’s calendar can be modelled, providing them with a bespoke and highly accurate view of expected demand and performance. Each morning Forecaster also imports a ten-day rolling weather forecast, split across key regions of the country. This enables an accurate prediction of how the variance in weather against the expected norm for the time of year is likely to affect sales and demand. From Summit’s research, the absolute purchase-trigger for certain products is temperature. Forecaster is able to automatically exploit this trigger by mapping daily weather forecasts against products that are correlated to changes in the weather. Our research has shown that in many cases there is a significant ‘spike’ in search queries and click-through rates following a TV ad airing. In order to capitalise on this buying behaviour, Forecaster takes inputs from across all major television channels in real-time looking for opportunities to launch and modify search marketing campaigns in synchronisation with television events. Predictive analytics and the methods employed by Forecaster clearly offer retailers a significant competitive advantage over current methods used by the majority of digital marketers and agencies. “It’s almost like cheating,” exclaims Professor Wooff from Durham University.